That’s a big declaration, isn’t it? But it’s not for the reasons you might think. Sure, most of us think of kosher laws as applying only to food. But they actually apply to many different parts of observant Jewish folk’s lives. And now, a group of rabbis has decided to declare Hyatt a non-kosher chain because of their labor violations and inhumane employee treatment. In the larger report, Open The Gates of Justice, there are also Torah and Talmud references provided for those who want to do a deeper study about Scripture and labor rights. Just a quick hit up. According to news outlets, Kristene Chapa has been discharged from the hospital. She is the sole survivor of the hate motivated (cause c’mon we know that’s what’s up) attack on her and her girlfriend in Portland Texas. 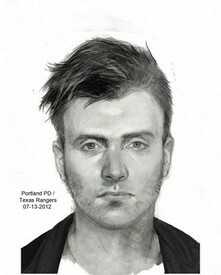 Once again, if you’ve seen this person, please call the Portland Texas police department and let them know ASAP. I’ve learned a bit about something from reading books, hanging out on websites like Womanist Musings, and my relationship with Mrs Linc: there’s a lot of complicated politics around black women’s hair, and white folks don’t know *^$# about it. Plus apparently white people also have no home training at all. I believe it. President Obama explains in this week’s address why he thinks that wealthier Americans paying more taxes to help rebuild our country makes sense. The transcript is beneath the frame. WASHINGTON, DC— In this week’s address, President Obama calls on Congress to pass the Buffett Rule, a principle of fairness that ensures that millionaires and billionaires do not pay less in taxes as a share of their income than middle class families pay. The President believes our system must ask the wealthiest to pay their fair share, while protecting 98 percent of Americans from seeing their taxes go up at all. That is why the President proposed the Buffett Rule, which will help make our system reflect our values so that all Americans get a fair shot, play by the same rules, and pay their fair share. Over the last few months, I’ve been talking about a choice we face as a country. We can either settle for an economy where a few people do really well and everyone else struggles to get by, or we can build an economy where hard work pays off again – where everyone gets a fair shot, everyone does their fair share, and everyone plays by the same rules. That’s up to us. Today, I want to talk to you about the idea that everyone in this country should do their fair share. Now, if this were a perfect world, we’d have unlimited resources. No one would ever have to pay any taxes, and we could spend as much as we wanted. But we live in the real world. We don’t have unlimited resources. We have a deficit that needs to be paid down. And we also have to pay for investments that will help our economy grow and keep our country safe: education, research and technology, a strong military, and retirement programs like Medicare and Social Security. That means we have to make choices. When it comes to paying down the deficit and investing in our future, should we ask middle-class Americans to pay even more at a time when their budgets are already stretched to the breaking point? Or should we ask some of the wealthiest Americans to pay their fair share? That’s the choice. Over the last decade, we’ve spent hundreds of billions of dollars on what was supposed to be a temporary tax cut for the wealthiest two percent of Americans. Now we’re scheduled to spend almost a trillion more. Today, the wealthiest Americans are paying taxes at one of the lowest rates in 50 years. Warren Buffett is paying a lower rate than his secretary. Meanwhile, over the last 30 years, the tax rates for middle class families have barely budged. That’s not fair. It doesn’t make any sense. Do we want to keep giving tax breaks to the wealthiest Americans like me, or Warren Buffett, or Bill Gates – people who don’t need them and never asked for them? Or do we want to keep investing in things that will grow our economy and keep us secure? Because we can’t afford to do both. Now, some people call this class warfare. But I think asking a billionaire to pay at least the same tax rate as his secretary is just common sense. We don’t envy success in this country. We aspire to it. But we also believe that anyone who does well for themselves should do their fair share in return, so that more people have the opportunity to get ahead – not just a few. That’s the America I believe in. And in the next few weeks, Members of Congress will get a chance to show you where they stand. Congress is going to vote on what’s called the Buffett Rule: If you make more than $1 million a year, you should pay at least the same percentage of your income in taxes as middle class families do. On the other hand, if you make under $250,000 a year – like 98 percent of American families do – your taxes shouldn’t go up. You’re the ones struggling with the rising cost of everything from college tuition to groceries. You’re the ones who deserve a break. So every Member of Congress is going to go on record. And if they vote to keep giving tax breaks to people like me – tax breaks our country can’t afford – then they’re going to have to explain to you where that money comes from. Either it’s going to add to our deficit, or it’s going to come out of your pocket. Seniors will have to pay more for their Medicare benefits. Students will see their interest rates go up at a time when they can’t afford it. Families who are scraping by will have to do more because the richest Americans are doing less. That’s not right. That’s not who we are. In America, our story has never been about what we can do by ourselves – it’s about what we can do together. It’s about believing in our future and the future of this country. So tell your Members of Congress to do the right thing. Call them up, write them a letter, pay them a visit, and tell them to stop giving tax breaks to people who don’t need them and start investing in the things that will help our economy grow and put people back to work. That’s how we’ll make this country a little fairer, a little more just, and a whole lot stronger. Thank you. Most of us know by now, usually through direct experience, what a Mafia inspired deal the student loan industry is. But I haven’t seen anything lay it out in detail quite like this graphic before. The 99% Helped You Get Rich! I really think Elizabeth Warren is one of the smartest women in the world. Seriously. And here’s some video to prove it. When it comes to the topic of fair taxation, she puts it right back onto the wealthy about exactly why they need to pay into the system more than they are.